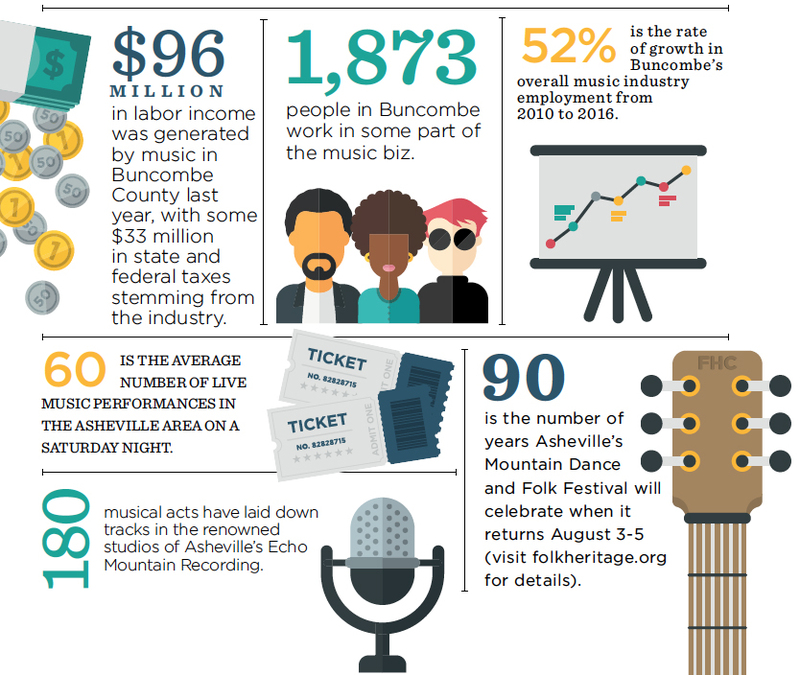 The sound of music is reverberating in Buncombe County more than ever, and it comes with a big “cha-ching.” According to a new study from the Asheville-Buncombe County Economic Development Coalition, the music industry’s impact on the local economy is sizable and expanding rapidly. “It would be hard to achieve this kind of growth without considerable talent,” notes Heidi Reiber, one of the authors of the study. “Whether recording, manufacturing, entertaining, etc., the region is good at music and well-regarded.” Here’s a look at some of the study’s main findings and some key related statistics.